While people have spent their time on poor-mouthing machine translation, engineers have worked hard to improve the engines behind automated translation. Machine translation is not the same as one, five or ten years ago. It seems that people aren’t able to keep up with the pace because the changes are made to the code and thus they are mostly unseen to ordinary people. However, there are also visible indications. Here are two signs that everyone can see. Translations are changing. The results are not the same for the same material over time. You can study this yourself by translating the same material with the same machine translator regularly. However, don’t expect that the results change overnight. Some fine-tuning might happen all the time but large changes require much attention, planning and testing. Our own experience indicates that during the last years remarkable changes have followed one another in a cycle of approximately 3 to 4 months. This means three or four major updates to the database, technology and/or algorithms every year. New features are introduced. In addition to the translation and its quality, improvements are made to the usability too. The usability has a great role when the user forms an opinion on the machine translator. 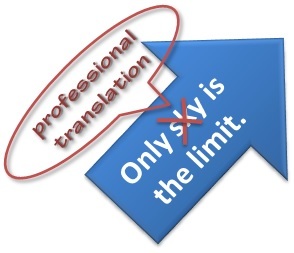 Even the best translation quality is left underutilized if the translation is hard to get out of the machine. Usability is important also because it is most visible to the user. By making changes to both the technology and the user interface, the technology improvements become more concrete. For example Google Translate enables nowadays building of own phrasebook where you can save those expressions that you use the most. The most observant people have noticed these changes already for sure. Although these may seems to be minimal changes to the human eye the visible changes are only the tip of the iceberg. A lot is happening under the surface. Not all machine translation is the same as years ago. 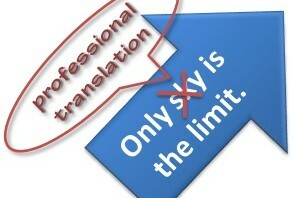 If it’s been a while since you tried machine translation you may have missed the latest development in the industry. For example, have you heard of qualified machine translation? 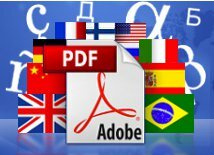 Automatic Translator for PDF Documents. Understand documents that are written in foreign languages. You can translate to 27 languages and choose the format for the translation. Try yourself with the free version.